Spencer Kelly is presenter of the BBC consumer technology show, Click. 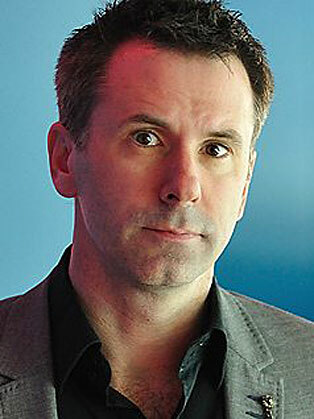 Since 2006, Spencer Kelly has been the main presenter of Click, the BBC Technology programme. Whilst trying to make technology appear simple, his passion for science shines through. He has presented items on challenging topics from quantum computers to child abduction and filmed features in exotic locations such as Thailand, Finland and Essex. Spencer was born in 1973 and graduated with a double first in computer science from Cambridge University. He remains a much sought after personality whose work includes after dinner speeches, facilitating corporate events in the UK and abroad, and the filming of training and promotional footage for businesses. Spencer began his career in radio spending two years patrolling the south in a small plane for the Ocean Radio Group, performing areobatic stunts inbetween (and sometimes during) travel reports. He spent 6 years presenting the Ocean FM breakfast show, hosted A Matter of Fact - a comedy panel game show based on unusual trivia - for local TV, and he fronted a film review programme for three years. Spencer also presented on Channel's Five's Gadget Show, where he explained how things work, using simple props and layman's terms. Topics under the spotlight in the last series included GPS (using clocks and a lot of white paint) and credit card security (using flying boxes and a man in a stripey jumper). Spencer regularly speaks at corporate events on his experiences and anecdotes as a technology tourist, and looks ahead to some exciting technologies that are just around the corner. He also hosts live events and interviews, and presents corporate videos.